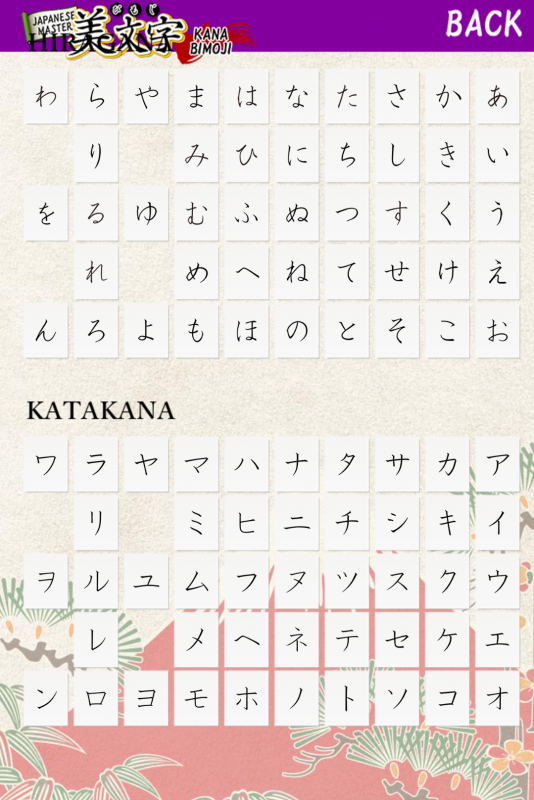 Practice writing beautiful hiragana or katakana using the correct stroke order. Practice by choosing the character you want to write. 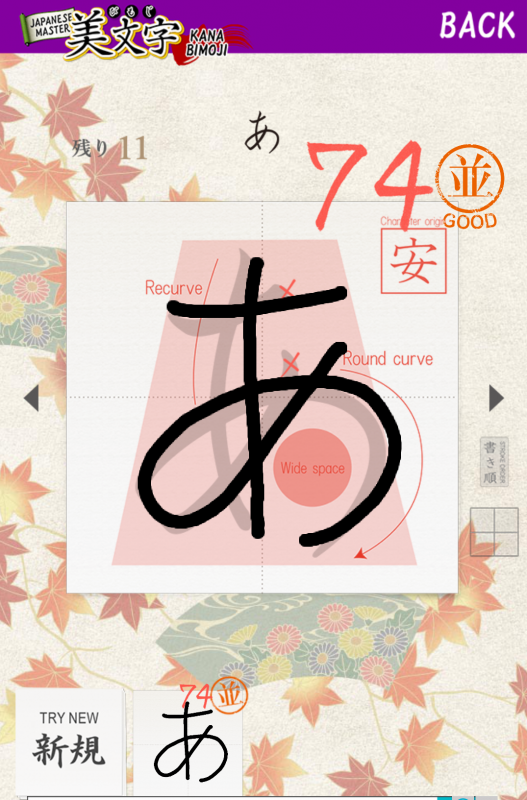 Use the scoring function to judge the beauty of your written letters. This is the top screen. 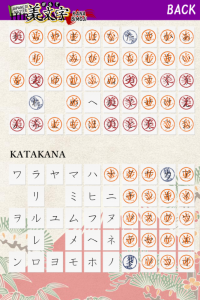 You'll see a table showing 46 hiragana and 46 katakana. Choose the letter you want to practice from here. 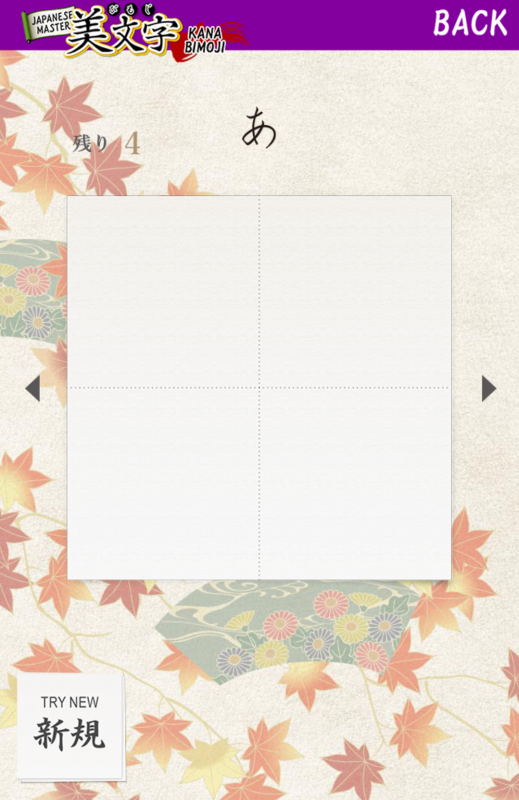 A frame will appear, so try writing the letter while following the model. When you finish writing, you will see your score. 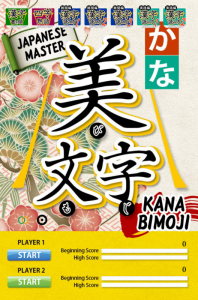 If your score is below 64, your result will be 「残念」 ("zannen" - too bad). 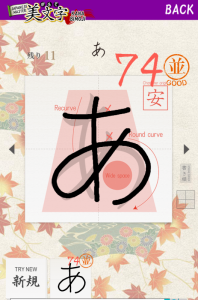 If it's between 65 and 84, you'll get 「並」 ("nami" average), and if it's 85 or above, the judgement will be 「美文字」 ("bimoji" beautiful handwriting). The stroke order is also very important. You will be deducted for mistakes in the stroke order. Tips on writing are displayed on the results page so remember them for the next time you try. Tap the icon 「TRY NEW 新規」 at the bottom left-hand corner of the screen to practice the same letter again. 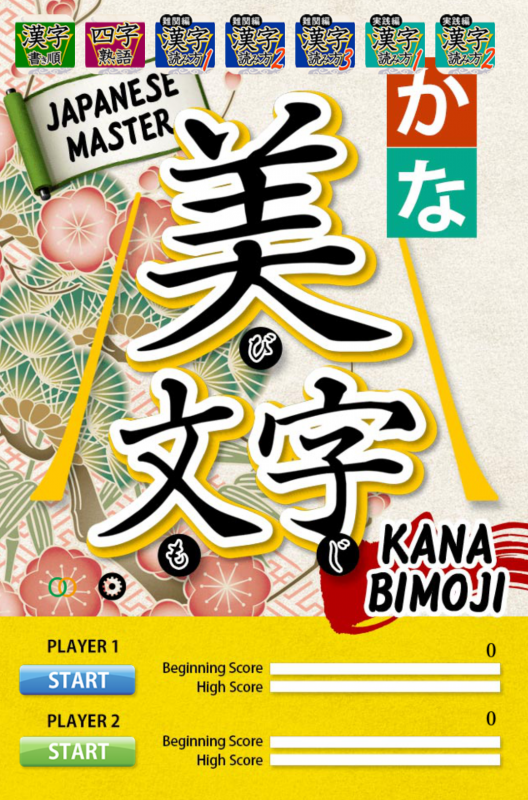 Tap the arrow on the right-hand side of the screen to go on to the next letter. 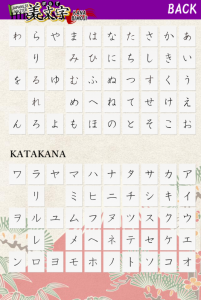 You can go back to the Hiragana/Katakana table by tapping "BACK" at the top right. 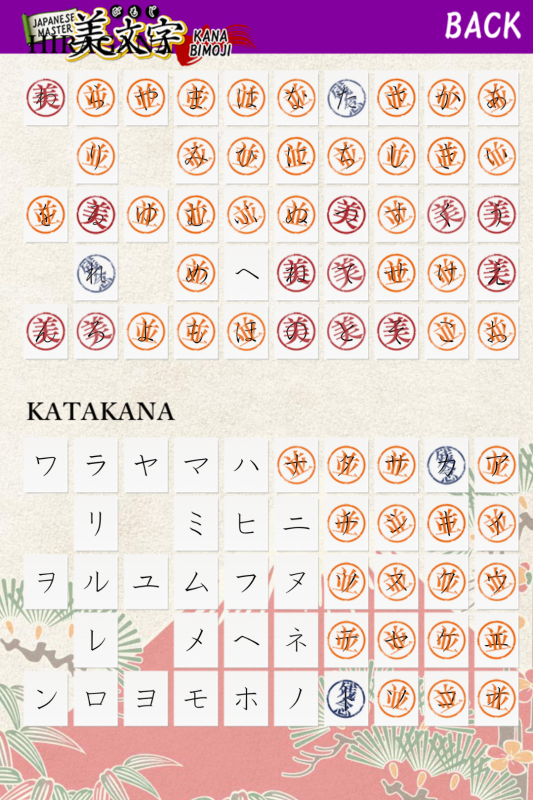 Your results are stamped on the Hiragana/Katakana table. Practice as often as you can during your free time and aim for your writing to be assessed as beautiful handwriting.